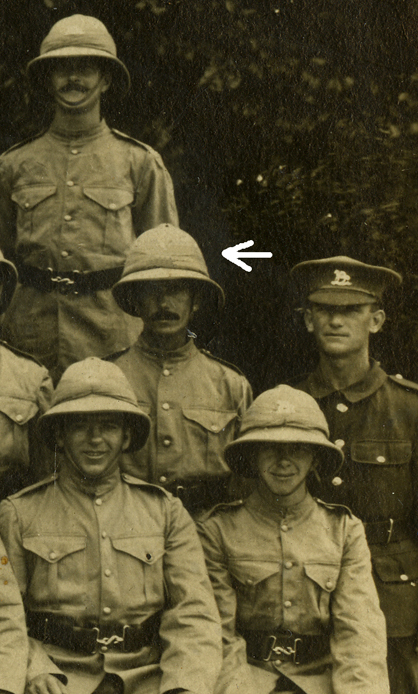 Alfred son of Lambert william Harris joined the London Regiment in 1917. The above photograph shows the 2nd/22nd Bn London Regiment before they went overseas. Alfred Harris is shown in the enlargement below. The letter shown left must be his last contact with home. It is addressed to his wife Mrs Harris (Adelaide) 245 Blackstock Road Highbury London.